Join us for a live webcast about thrilling new tools that will come online in the next decade. Keck. Hubble. VLA. Kepler. They may not quite be household words, but those of us who follow astronomy know and love them. They and their sister instruments around the world (as well as above it) have opened awe-inspiring new vistas of our universe. They have also pioneered new technologies that are now ready for even greater accomplishments. 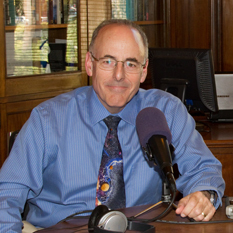 Richard Ellis, Ph.D.: Steele Professor of Astronomy at the California Institute of Technology; astronomer and member of the Thirty Meter Telescope Board. Fiona Harrison, Ph.D.: Principal Investigator for NuSTAR, NASA’s Nuclear Spectroscopic Telescope Array; Benjamin M. Rosen Professor of Physics and Astronomy at the California Institute of Technology. Juna Kollmeier, PhD., Astronomer at the Observatories of the Carnegie Institution of Washington in Pasadena, working on the Giant Magellan Telescope. Kartik Sheth, Ph.D.: Associate Astronomer at the National Radio Astronomy Observatory, former ALMA Commissioning & Science Verification Liaison. ALMA is the Atacama Large Millimeter/submillimeter Array. The conversation will be part of the NEXT Science|People|Tomorrow series I host for Southern California Public Radio/KPCC. Seats in the Crawford Family Forum at SCPR's Pasadena, California headquarters are free, but must be reserved at http://www.scpr.org/events/2013/05/30/next-eyes-on-the-universe/ . You can still join us even if you won't be in Southern California. Watch the live webcast that will be available on the same webpage. We begin at 7:00pm Pacific Daylight Time on Thursday, May 30th. Clear skies. I have always wondered about this question: Blackholes are regions in space that nothing can come out, not even light. It is gravity gone mad! Black holes are part of this universe. If nothing could come out of a black hole which is tiny with respect to the universe, then how could the big bang come into being? Isn't the big bang supposed to be denser and more gravitationally powerful than any black hole? So how come something could come up from the Big bang but nothing from a Black hole? Hi, Ihab. Thanks for your comment. I'm afraid I'm not nearly enough of a cosmologist to answer your question. I do know that some matter does escape from black holes, according to Stephen Hawking's work. And I think there's a difference between a typical, everyday black hole and the universe before the Big Bang. I think I read somewhere that we are still inside that singularity, in some sense. It just "inflated." We may do a black hole Planetary Radio episode before long. I'll ask about this when we do. One point I learned years ago on black holes is that according to Astronomer Kerr (I think that is his name), black holes have to rotate for the theory of their existence to happen. Knowing what we know now about black holes, is the rotation theory correct? What is interesting is that the X-ray end, (high energy) of the spectrum, is observed as jets coming off of the poles. Is that the poles of the black hole itself or is it the energy riding a spherical event horizon to the poles then ejects off for some reason or another? Or is the event horizon opened after a certain latitude, perhaps allowing us to see the jets as they leave the actual black hole body vs the event horizon? What is the accretion disks relationship to the event horizon?